Good to dispose of household and/or construction debris. This smaller size will fit in tight to reach areas. Ideal for cleaning out smaller garages or attics. 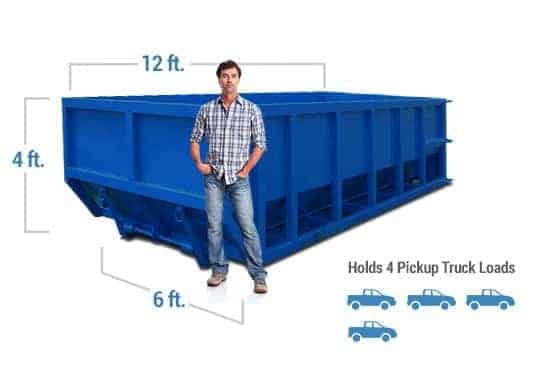 Just a bit larger than a 10 cubic yard dumpster this container works well for minor remodels. Bathroom or single room renovations will use a 12 yard container. Will accommodate light demo material from interior or exterior of homes. Low walls allow for quick disposal over the top. Ideal for small remodels and clean our jobs. Useful for minor demolition projects on a smaller-scale. Easily dispose of household junk and construction material. Great size for remodeling projects and roofing under 20 squares. 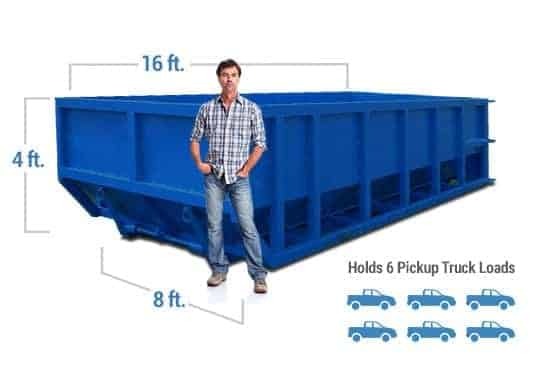 Dispose of up up 4 tons of debris in one simple space. Great for home renovations or multi-room renovations. Easily accommodates construction and demolition junk. Convenient size for large-scale cleanups. Largest dumpster rental in the fleet this container is great for contractors with big projects. Dispose of several tons of debris. Good for renovations and demos as well. We offer many different sizes ranging from 10 cubic yards up to 40 cubic yards in Omaha. When renting call Monday through Friday to order a roll off container in just a few minutes. When looking for continual disposal solutions we are your partner for long-term projects. Our pricing includes delivery, pickup, all taxes and the entire rental period. Not sure what size you need for the project at hand? We will advise you on the right container size for your specific job. Know exactly what you are spending when you schedule with Discount Dumpster Rental. We focus on providing great customer service to everyone. Be sure to review our guidelines which will be provided to you at the time of order. Find the solution to your waste management needs in one phone call. When you work with Discount Dumpster, you will speak to a real person every time, no wasting time with robot calls. We will help you get rid of construction and household waste. Whether you are in Green Meadows, or Boys Town we will deliver to you. With a 24 to 48 hour notice we will be able to delivery the roll off dumpster directly to you. When you order with us you will receive great communication from the start so that you know when your bin is arriving and when we will be picking it up. Rent a dumpster in Omaha today by calling our team. Tired of searching all of the web trying to find the best deal in town? We have seen it before which is why we work directly with each customer to save time and money. 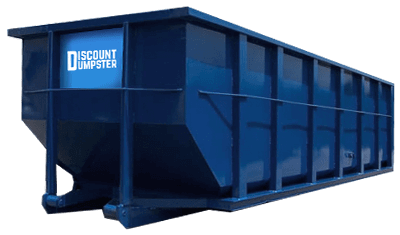 Give Discount Dumpster a try on your next project. There is no run around when you get a dumpster rental with us. We provide transparency and a streamlined service every time. The price you are quoted when you call us is the final price you will pay. Utilize our hassle free service and all it takes is a few minutes of your time to get everything scheduled for delivery and pickup. A permit is not required if you are placing the dumpster on your private property. That means if you plan to place the container on your driveway, or yard you will not need a permit. If the dumpster is going to be in a public right of way, such as the street or sidewalk, a permit may be required. They City of Omaha will require a permit on certain streets with high traffic. Check out the City of Omaha Permits and Inspections to see if you need a dumpster permit. Please note that if you need a permit but have not obtained one, we will not be able to deliver the container. Let us know where you want the dumpster to be placed at time of order and we will help save you from a costly trip charge.